Good morning! I hope you all had a wonderful Halloween weekend! I'm feeling really yucky this morning, still battling a cold, so I'm going to try to keep this short. 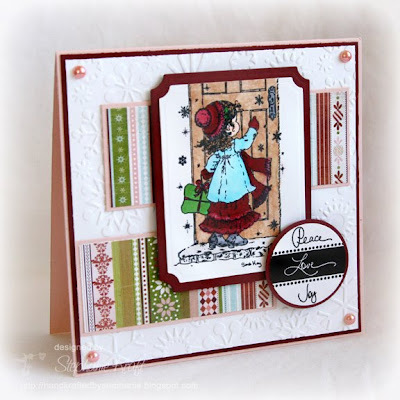 Accessories: Labels Nestabilities (Spellbinders), Snowflake embossing folder (Provo Craft), Circle Punches (EK Success), Pearls (Kaisercraft), Foam tape. Beautiful card Steph! Love it!